Albert G. Caruana is a seasoned trial lawyer with approximately 46 years of courtroom experience. 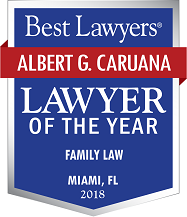 Mr. Caruana concentrates his practice in family law, including complex contested dissolution of marriage cases, paternity, domestic violence and custody issues. Mr. Caruana joined Coffey Burlington after practicing at his own firm for nearly thirty years. 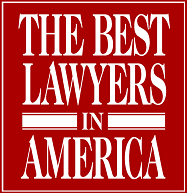 Prior to starting his own firm, Mr. Caruana was a partner in the Miami office of Greenberg Traurig. Mr. Caruana is actively involved in all strategy-related decisions, hearings and trials, and brings his unique personal and professional experience to each of his client’s cases. He prides himself on understanding each client’s individual concerns, assessing problems, and finding solutions in mediation, by private settlement strategy, or, if necessary, in the courts. Mr. Caruana believes it is important to the client’s goals to demonstrate a mastery of the requirements of the courtroom, and he brings years of proven experience to the client’s case. 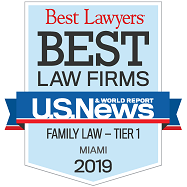 He understands the importance of close communication with the client, and, consequently, he is there for the client to help navigate the sometimes tumultuous waters of divorce and family court. Mr. Caruana’s clients include celebrities and spouses, persons of substantial wealth and spouses, captains of industry and business persons and spouses, professionals and spouses, and both citizens and non-citizen residents and spouses. 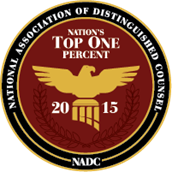 Recognized as one of the Nation's Top One Percent of lawyers by the National Association of Distinguished Counsel. Annual Wealth Protection Conference, It’s 2004 Do you Know if Your Assets are Protected, The Florida Bar, 2004, Lecturer and Author: “Marriage Can Be Dangerous to Your Wealth – Prenuptial, Postnuptial and Comments on the Effectiveness of Asset Protection Planning in Martial Conflicts"
Co-Author: “Criminal Law and Procedure, 1969-1971 Florida Survey,” 26 University of Miami Law Review 289 (1971). Valedictorian. Wesley A. Sturges Scholar. Member of the University of Miami School of Law National Moot Court Team and a member of the State Moot Court Team, student instructor, and judge of the Law School Honor Court.